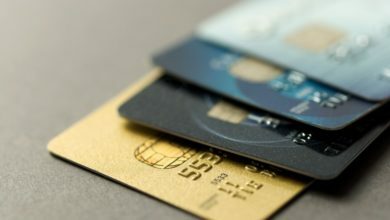 Whether you like credit cards or not, their worldwide use is a proof that it is necessary thing you must have either your buy online or travel across the world. Every year you are being notify with literally hundreds of offers to fill out applications for this card or that by banks. Account set up fee – This is an initial fee that some banks or providers charge to start up your account. Annual fee – In lieu of higher interest rates throughout the year, some companies charge an annual fee, ranging anywhere from $10 and up, and charge you lower interest from month to month. Application – This refers to the form that you fill out to give all of your personal and financial history to the credit company. They will want to know if you have any existing credit cards. Approval – This means that the provider or lender has said yes to your request, whether it is for a loan or a credit card. APR – This term actually stands for Annual Percentage Rate and it is what companies charge, per year, on the balance of your card. Authorized use – This refers to the appropriate use of a credit card by it’s rightful owner. Bad credit – This term seems negative in connotation but simply refers to a credit history that, for whatever reason, has not been able to stay on track. Balance transfer – This means that you take the existing balance on your current credit card and transfer the money you owe to another credit card, preferably one with a better rate or options. Budget – This refers to the money that comes in and goes out on a monthly basis. Keeping a budget can help you to stay on track financially. Business cards – These are cards that make purchases or transactions for a business purpose only and they allow for write offs and tax perks at the end of the year. Cash back – This term refers to the option of receiving cash off of your credit card, similar to a debt card. Not all cards give this option. Collateral – Items of value that you can use to guarantee the payment of loans or debts. For example, you can use a car as collateral to take out a loan and if for some reason you cannot pay the loan, your car becomes the payment. Consolidation – This refers to the act of combining all of your debts into one smaller, easier to make payment, generally with less interest per month. Credit bureau – This is the company that keeps your credit history on line. Credit history – Credit history refers to your personal financial background and will detail any loans, credits cards, mortgages, etc that you have held and how you have repaid them. Credit qualification – Qualification refers to the necessary attributes that allow you to become the card holder of a particular card. For example, some cards require a minimum annual salary. Credit type – Just as it sounds, this refers to what credit type you have and it is based on your history. If you have always made your payments on time and have never defaulted, your credit type would be considered “good”. Debt – This is how much money you owe. Fees – These cover a number of different costs from set up to annual fees and are particular to the given institution. Financial future – This term requires you to look ahead, to plan and to budget, for what you what down the road. You should consider your financial future when making purchases and choices. Fixed APR – An annual percentage rate that does not change over a given period of time. Some APRs are variable, which means that they change or fluctuate. Flexible payments – This terms refers to a company’s ability to accommodate your payment needs and abilities. Goals – Referring here to financial goals, this term asks what you want for yourself financially and sets a plan for how to achieve it. A goal is an intended desire that one plans to reach. Grace period – A period of time in which a provider will allow you to go without making payments or charging you interest. Guarantee – This terms means to be assured that something will come through, whether you get a low interest guarantee or a guaranteed approval. Interest free – As it states, this means that there will be no interest charged for whatever reason, be it a promotional offer or a grace period. Certainly, some terms and conditions will apply. Interest rates – These are variable percentages that providers charge per year for the use of their card. Introductory interest rates – Many companies will give you a lower introductory interest rate to get your business. After a period of time, you will pay a higher charge, similar to other cards. The benefit is that they will usually give you a low interest rate on your balance transfer and if it is high, you can save money in interest that you are paying. Liability – This is similar to responsibility as it means that you are in charge of the card and what happens to it. Many companies will say that they are not liable for lost or stolen cards. Needs – Unfortunately, different from your wants, your needs are things that you must have to live a safe, healthy life. Examples are food, shelter, and clothing. No credit – This refers to people that have not previously carried a credit balance and paid it off whether it was via credit card or some type of loan. No hassles – This is a promotional pitch that promises you will be given great service and rewards with no difficulties. Payments – Every month you are required to put money towards what you owe which is considered your monthly payment. 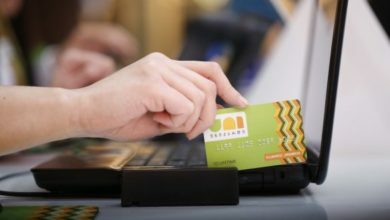 Personal cards – A personal credit card is used for your own use to make purchases that are needed for various reasons. This is different from a business card, which makes purchases that support or benefit a business operation. Personal loans – A personal loan is a loan that is taken out in various amounts to help you through for whatever reason. Reasons could include home maintenance, school, travel, or just money to get through a rough spot. Plastic – A slang term for a credit card. Platinum card – One of the premium cards, a platinum card holder knows few boundaries in terms of credit limit. Premium cards – This is a group of cards for people or businesses with outstanding credit. They are offered special privilege cards that have higher limits, lower interest, or no limit at all. Prepaid credit card – Some credit card companies have cards with the option of paying first and using later. This is generally for people who have had some sort of credit difficulty. You would put money onto the card and then have that amount to spend. Promotions – This refers to the various deals that companies offer to lure you to their business. Some deals include low interest, balance transfer rewards, points or air miles, or even money towards vehicles. If you’re in the market for a card, you can look around to see who has the best promotion. Protection – This refers to the insurance you can have on your card to protect you in times that you may not be able to make payments, such as the loss of a job. In addition, there is insurance to protect you if your card is lost or stolen. Provider – The company or lender from which you are obtaining a credit card. Rewards – This refers to things that a company may give you for choosing their card, such as points towards various items or interest free balance transfers. Secure – This means that you must have collateral of some sort to have the card. 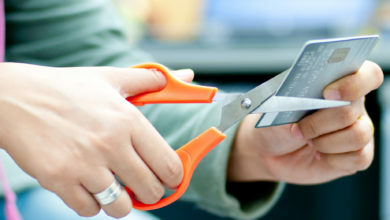 You can put money down on the card before hand and use up to that amount. Security deposit – This is a fee you put down to ensure repayment. In a way, it is like insurance for the lender just as a damage deposit is for a landlord. Sign up fee – Some companies or providers charge a sign up fee. You can find promotional offers or companies that do not charge this initial fee. Student cards – These credit cards have a lower limit on them and often, a lower interest rate. They are helpful for students who are just starting out and do not have much credit history. You can find out about them through various banks and lenders. Terms and conditions – This refers to the rules and regulations you are agreeing to when you become the credit card holder. For example, one condition may be that you make a minimum monthly payment. Travel rewards – This is one of the perks offered with some credit cards and gives you miles or points for every purchase, which you can later use to put towards the cost of a trip or vacation. Unauthorized use – This refers to when your card has been inappropriately used without permission. All unauthorized use should be immediately reported. Unsecured card – This is a card that is free and clear and without the limits of needing collateral in order to spend. You can slowly increase the credit limit once you are approved and have shown that you can make your payments.